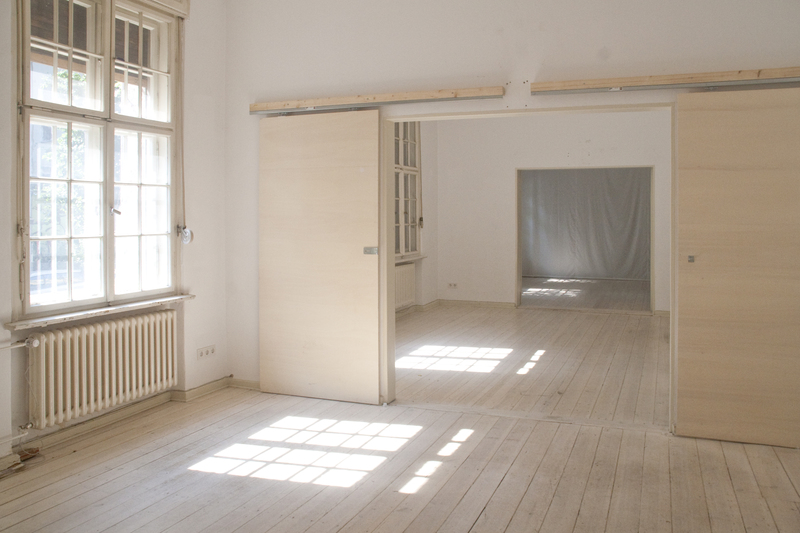 Working and meeting space is provided in group studios on the ground floor of the Glogau Artist in Residence (GlogauAIR) facilities in the Kreuzberg neighborhood. 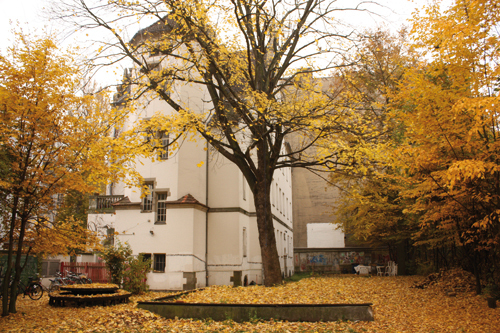 GlogauAIR is a competitive, international residency program housed in a spacious former school building (also a registered historical site, designed by the architect of Berlin’s old town hall and the Pergamon Museum), and located just half a block from one of Berlin’s loveliest city canals. 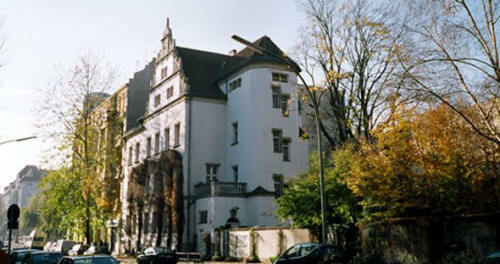 The GlogauAIR building, in Glogauerstraße. The program’s space totals more than 1400 square feet, and includes a large communal table and kitchen for program participants, outdoor working areas, a verdant courtyard, and 24-hour studio access. 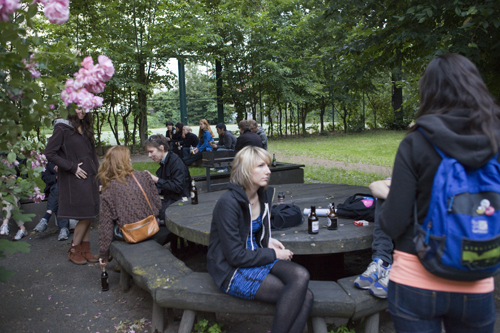 Program participants will be able to interact with GlogauAIR’s current resident artists, where informal crits and conversations are inevitable. Program work and meeting space. 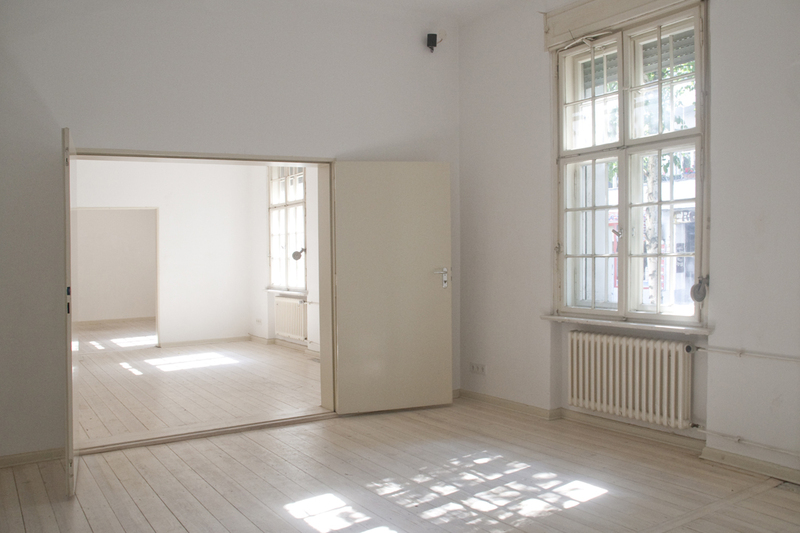 At the end of the program, members also have the opportunity to participate in GlogauAIR’s popular Open Studios evening, an event that consistently draws a strong crowd of Berlin’s artists and art-lookers. Program members are able to decide independently how they would like to contribute to this event. Photos courtesy Glogau Artist in Residence.